The Secret RF by Cutera is an innovative new technology that combines the benefits of micro needling and fractional radio frequency (RF) energy to improve signs of aging skin, fine lines and scars. At Rejuvené M.D. and Dermatology & Aesthetic Center of El Paso we invest in our patients, first and foremost. Research and expertise has led us to obtain the best treatments for our patients. This includes PICO Genesis by Cutera as the latest aesthetic treatment to improve the appearance of unwanted freckles, sun spots and age spots, including melasma, aka “pañeo”. This new technology uses laser light to selectively shatter unwanted pigmentation and remodel the upper layer of the skin to return balance + clearance + radiance to your skin. UV radiation and environmental factors cause free radicals. These are unstable oxygen molecules with only one electron. Doctors believe that UV light can damage both skin and our basic DNA. Free radicals may even play a role in skin cancer. Smoking causes blood vessels to constrict, which can cause wrinkles. Smokers’ skin also gets less of the oxygen and nutrients that are vital to a healthy glow. Worst of all, smoking can cause the elastic fibers of skin to thicken and not snap back to shape, which can cause permanent damage. Smiling, frowning and making emotional movements is inevitable. These facial expressions will cause wrinkles over time. Though we never want to stop enjoying and finding humor in life, we sometimes want to diminish the repetitive lines from permanently creasing our face. How Does Fotofacial Rf Work? 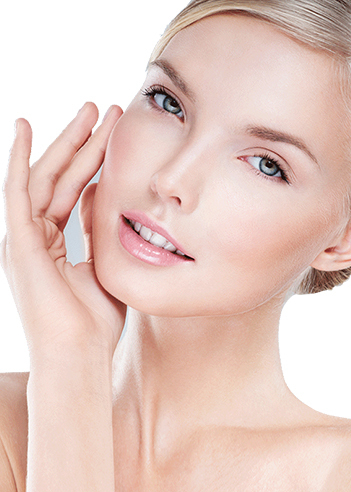 FotoFacial RF uses IPL. Each pulse from the device sends several types of energy into the skin. These include pulsed visible light, infra-red light, and RadioFrequency (RF) energy. The energy works to eliminate brown spots, dilated blood vessels, and redness. This procedure increases collagen and elastin growth as well. The end result is smoother skin and diminished wrinkles and imperfections. This treatment is non-invasive and a great alternative to surgical options. Patients report seeing both immediate and gradual improvement. The typical regimen includes three to five 20 minute treatments about three to four weeks apart. Be sure to avoid tanning and wear plenty of sunscreen after a FotoFacial RF treatment. Depending on the skin condition we are treating, you will be recommended a specific topical lotion to apply. Patients typically leave with minimal redness. Over the next few days, some of the pigmented spots turn a brownish-grey color and then fall off or fade away. The end result is a beautiful complexion.